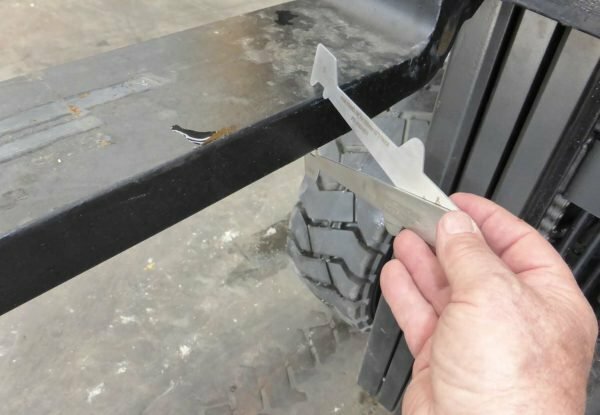 Your forks will wear out as you use them – abrasion against pallets, racking, the ground and other objects will gradually make them thinner and thinner. They can also suffer distortion through accidents and overloading. A fork can have up to 10% wear before it should be considered for replacement and should have no more than 3% deviation from 90 degrees from the backrest. At 10% wear, the load capacity is reduced by up to 20%. The hangers or hooks should also not be unduly worn. 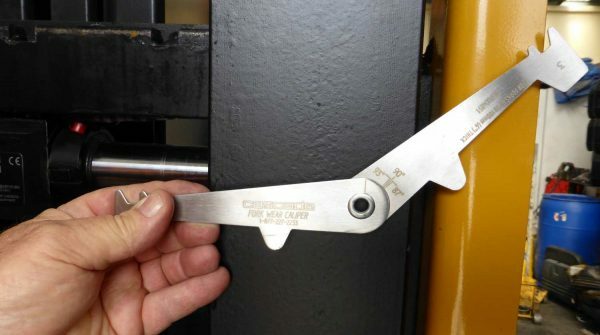 The daily forks inspection will look for cracks and distortion during the pre-shift check. If one fork is any more than 3% of its length higher than the other, some distortion could have taken place. I.e. if your forks are 1000mm long, there should be no more than 30mm difference in height at the tips. A six-monthly inspection will include checking the forks’ thickness as well as looking for distortion and cracks. This should be done by someone who has been trained how to do it. You must not repair your own forks, i.e. bent forks should not be forced back into shape. The following video explains how to check the forks and the chain. 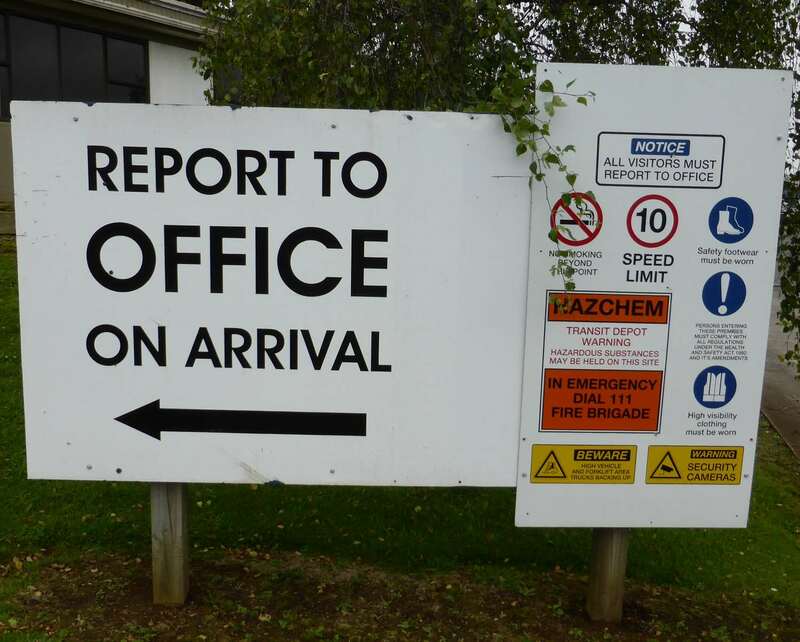 ‹ What health and safety rules should you enforce for truck drivers visiting your workplace? What health and safety rules should you enforce for truck drivers visiting your workplace?